Product prices and availability are accurate as of 2019-04-13 07:00:21 EDT and are subject to change. Any price and availability information displayed on http://www.amazon.com/ at the time of purchase will apply to the purchase of this product. W Track. 120V / 277V Recessed Track - Flanged. 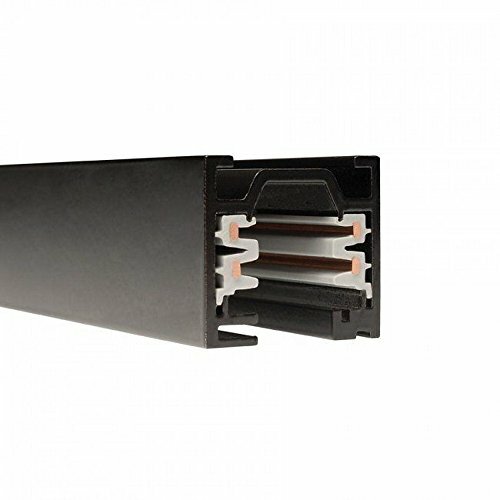 Heavy Duty Recessed Architectural Grade Track With Two Independently Controllable Circuits. Power Per Circuit: 1920W Max (120V), 4432 W Max (277V). Operating Current: Each Circuit Is Rated 20A (2 X 20A = 40A Max). 120V Or 277V Recessed Track System (Flanged) Provides Two Separate 20 Amp Circuits. Each Circuit Can Be Independently Switched.. Available In Black Powder Coat, White Powder Coat, Or Platinum Anodized Finishes.. Heavy Duty Rigid Track Design.. Clean Recessed Architectural Look In A Flanged Or Flangeless Installation.